On December 17, 2018, the Scientific Research Fund of the Ministry of Education and Science and the National Museum of Natural History at the Bulgarian Academy of Sciences signed a contract for the financing of a research project on the topic: The cybertaxonomic approach to phylogenetic studies of model invertebrate genera (Invertebrata, Arachnida, Insecta) for the clarification of problems of the origin, formation and conservation of the invertebrate fauna on the Balkan Peninsula. The project is carried out by a multidisciplinary team of scientists led by Professor Pavel Stoev (NMNHS-BAS). The team consists of Dr. Rostislav Bekchiev (NMNHS-BAS), Dr. Dragomir Draganov (NMNHS-BAS), Dr. Hristo Delchev (NMNHS-BAS), Dr. Rumyana Kostova (Sofia University, Faculty of Biology), Dr. Anelia Bobeva (IBEI-BAS), Simeon Indjov (student at the Faculty of Mathematics, Sofia University). The main objective is to form the basis for cybertaxonomic research in model invertebrate animals (spiders, beetles), with the prospect that the developed methodology will be validated and adopted as an updated standard in zoological and phylogenetic research in Bulgaria and on the Balkans in general. The use of an integrated cybertaxonomic approach (obtaining and analyzing data from molecular, statistical and morphological studies, incorporated and easily accessible onlinewill allow for a more accurate assessment of the phylogenetic evolution of the model invertebrate groups, and it will provide an outline and empirical proof of the relations and pathways of species formation. The resulting new knowledge will be incorporated in an online cybertaxonomic form and thus will also allow for the better conservation of these unique species and their specific habitats. 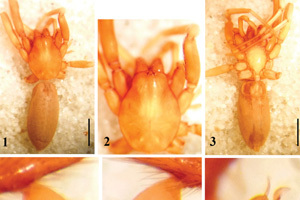 So far, one article on a new, endemic species of spider from Strandzha Mountain (Dimitrov D., Deltshev C. & Lazarov S. 2019. 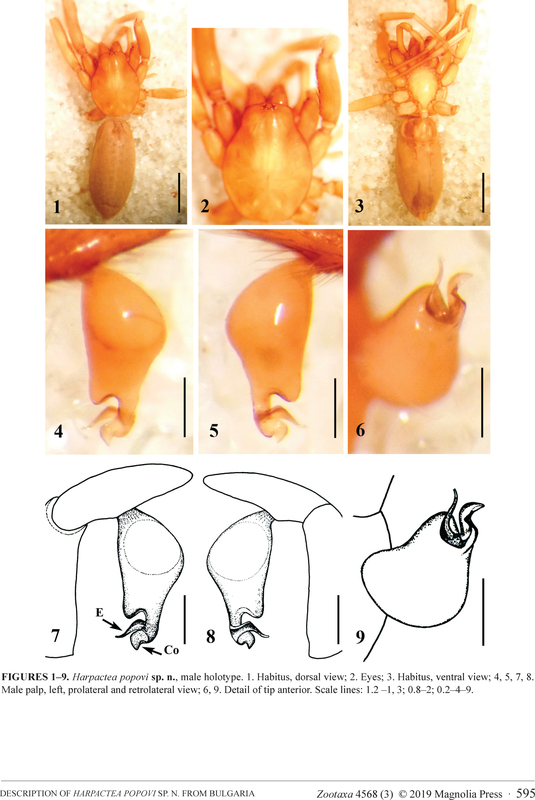 Zootaxa 4568 (3): 593—600) has been published in cooperation with IF, and several others are being prepared. 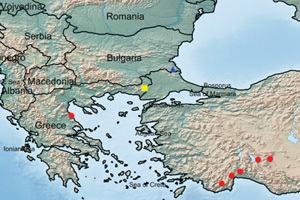 At the same time the online databases for spiders (Aranea; Arachnida — http://balkan-spiders.com) and rove beetles (Coleoptera: Staphylinidae — http://coleoptera-bulgaria.myspecies.info) in Bulgaria are being are also built up too.